A benefit cheat who claimed he was on his own when he was actually living with his wife claimed £6500 employment and support allowance he was not entitled to. 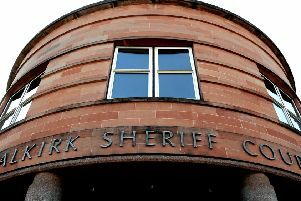 Thomas Neil (50) appeared at Falkirk Sheriff Court last Thursday having pled guilty to the offence he committed at his 81 Herbertshire Street, Denny home between June 13, 2015 and March 12 last year. Andy Bryson, defence solicitor said the couple had been apart for quite some time, but she would stay with Neil two or three days a week. Neil was placed on a community payback order with the condition he complete 144 hours unpaid work within six months and pay the DWP back at a rate of £125 per month.